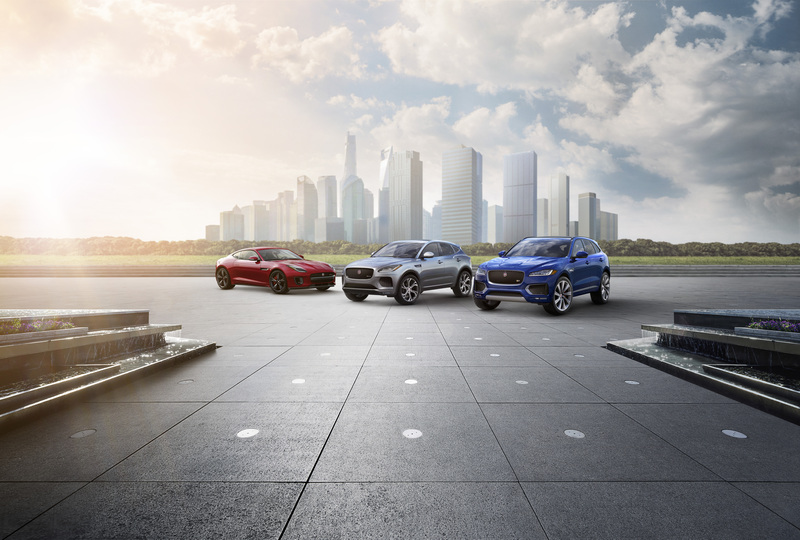 Here at Jaguar Winnipeg, we’re more than proud of our relationship with the Jaguar brand and honoured to be Manitoba’s exclusive retailer of premium sedans, sports cars, and SUVs. Browse through our catalogue of brand-new models, such as the XE, XF, or F-TYPE, as well as our selection of Approved Certified Pre-Owned Jaguar models for you to choose. Additionally, Jaguar Winnipeg is more than just your local Jaguar dealership. We also offer numerous services to help enhance your Jaguar experience, such as our excellent collision centre, financial department, and more. Visit Jaguar Winnipeg and get the full experience at our Manitoba dealership. Although Jaguar vehicles have undergone extensive changes throughout their existence, they always adhere to the timeless ideals and values of the brand’s product philosophy. With a firm commitment to emotional engineering, driving a Jaguar vehicle is an experience unlike any other. This emotional engineering helps Jaguar spawn beautiful, fast-performing cars that combine the intelligent, relevant technologies of the modern era, with additional style to exude the brand’s contemporary luxury that it’s known for. While modernization is part of this commitment, they have not lost sight of their traditional values. Come to Jaguar Winnipeg and drive any one of our exceptional and award-winning vehicles, today. At Jaguar Winnipeg, we understand our customers are those who seek out and demand excellence. That’s why our dealership provides you extensive services that benefit you before, during, and after purchasing your vehicle from us. The significant list of our offerings, including after-sales servicing for your vehicle, genuine Jaguar parts and accessories, as well as our collision repair centre, all ensure that you get the highest-quality of customer service possible. To learn more about the Jaguar experience at our dealership, come visit us or keep browsing through our website to see what your local Manitoba dealer has to offer. I have been looking for a Cadillac Escalade for the past two years in Ontario, without any luck. After searching the Auto Trader I found this dealership in Winnipeg that had the vehicle with all the features. However, being located in Ontario I was very reluctant to purchase a vehicle from a distance, sight unseen. When I contacted the dealership they referred my to a salesperson named Kevin Xi. From the moment we spoke I shared with him that I was very nervous to purchase a vehicle without looking at it. In our discussions, I felt quite comfortable and trusted him. He was very knowledgeable, trustworthy, provided exceptional service and promptly returned my phone calls and text messages, ever before and after hours. Kevin went way above and beyond my expectations and I was very pleased with his honesty and the condition of the vehicle once it arrived. If you are looking for a very positive sales experience, you need to ask for Kevin Xi at Jaguar Land Rover Volvo Winnipeg – you will not be disappointed! Open your wallet.... WIDE lol. General Manager Matt S, Dealt with our issue and i was very satisfied with the experience thanks again Matt. Without doubt the best service department I've ever had to deal with. You book an appointment arrive on time and they are expecting you. They say when you vehicle will be ready at a specified time and it's ready for you, identified work completed, washed and clean. Bought a suv for 2 year. Good services all the time! 10 Stars. Kevin Xi. Best salesperson ever.